Known undisputedly for her intelligence and talent, Sarah E. Polley was born on January 8, 1979, in Toronto, Ontario to Diane Elizabeth and Harry Gulkin. Prior to her adulthood, she was led to believe that Michael Polley, her mother’s second husband, was her biological father. However she found out that her mother had an affair with Gulkin, after which she was born. Polley attended Earl Haig Secondary School but dropped out before she graduated. Sarah Polley’s career started as early as when she was five year old when she appeared in the Disney movie, “One Magic Christmas”. Upon turning eight, she appeared in the series, “Ramona” as Ramona Quimby. She also got the lead in the movie, “The Adventures of Baron Munchausen” in 1989. Following this, she appeared in the movie, “Lantern Hill” in 1990, earning a Gemini Award. Her work was so impressive that she was offered the lead role of Sara Stanley, in the drama series, “Road to Avonleo”. Despite being so young, she became extremely popular, known as “Canada’s Sweetheart” by the masses. However, she distanced herself from the show in 1994. She was then offered the role of Lily in the drama series, “Straight Up” in 1996 and earned herself another Gemini Award for it. By now she had quit high school and started to pursue her acting career fulltime. She gained attention in the US with the movie, “The Sweet Hereafter” in 1997 in which she plays the role of Nicole Burnell. Apart from acting, she also co-wrote the movie’s title track. The movie established her as an adult actress; favored both by the critics and her fans. She earned the “Best Supporting Actress” Award from the Boston Society of film critics for her work. Following the movie, “Guinevere” in 1999, she had established herself as a prominent mainstream actor. She then went on to do movies like, “Go” in 1999 which earned her a second nomination for “Best Actress” Genie Award, “The Claim” and “The Weight of Water” in 2000. In 2001, she appeared as the lead role in the movie, “No Such Thing”. Unlike many other actors, Sarah Polley chose her roles more because of her personal inclinations rather than for stardom. Following in 2003, she appeared in the movie, “My Life Without Me” which earned her the “Best Actress in a Leading Role” Genie Award in 2004. She also appeared in the movie, “Dawn of the Dead” which showed her in a different light. In 2005, she was offered to appear in the movie, “The Secret Life of Words” and earned herself a nomination as “Best European Actress” by the European Film Academy. Polley then turned towards television and appeared in the series, “Slings and Arrows” and in 2009 appeared in the movie, “Mr. Nobody”. 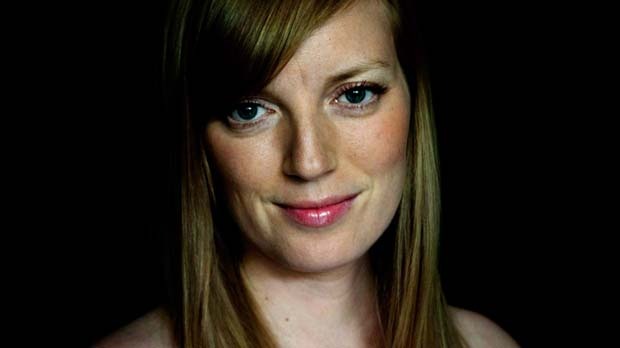 Apart from acting, Sarah Polley has also directed her own movies. In 1999, she made her first short film, titled, “The Best Day of My Life” followed by a second movie, “Don’t Think Twice”. Her first feature movie which she directed was, “Away With Her” and became critically acclaimed as well as earning her a nomination at the Academy Awards for “Best Adapted Screenplay” in 2008. Shortly in 2012, she released her documentary movie titled, “Stories We Tell”, which also narrates her mother’s affair with Gulkin. In 2014, she announced that she would write and direct an adaptation of “Looking for Alaska”, a book by John Green.